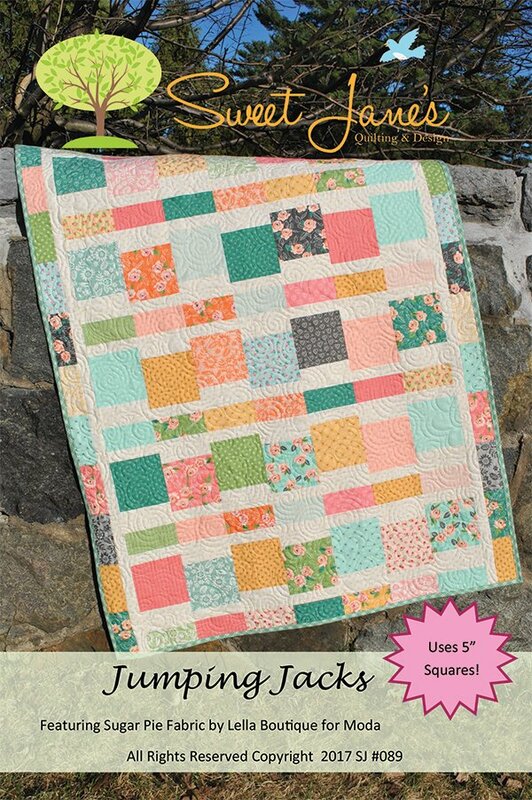 Jumping Jacks quilt pattern by Sweet Jane's Quilting Designs SJ-089 Charm Pack , Layer Cake and Fat Quarter Friendly. Quilt size 38 inches x 50 inches. Pattern Features Sugar Pie fabric collection by Lella Boutiue for Moda.